Warren Buffett has cordially invited you to Berkshire Hathaway's next annual shareholders meeting. That is, you and anyone else with an Internet connection. For the first time in its 50-year history, the meeting will be livestreamed. The fabled event, which is expected to draw 40,000 shareholders in person at the CenturyLink Center in Omaha in April, will be broadcast online by Yahoo Finance. "Over the past 50 years, we've seen a tremendous increase in the interest around our shareholders meeting," Buffett said in a statement. "Partnering with Yahoo Finance provides us with the opportunity to reach more people than ever, in key financial centers around the world, from New York to China and beyond." Shares of Berkshire Hathaway (BRKB) had a rough 2015, but profits for the first three quarters rose 18%. It's due to report it's full-year results later this month. 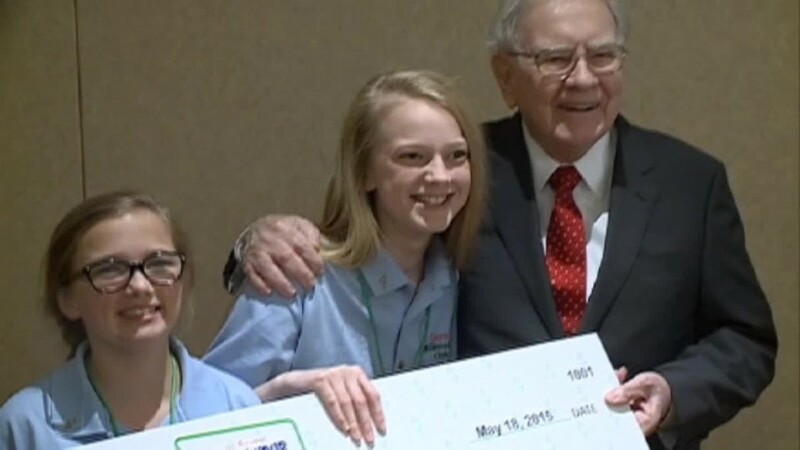 Buffett, Berkshire's CEO, recently added $1 billion to his net worth, according to the Bloomberg Billionaires Index, where he ranks third with $60.4 billion. He's behind Microsoft (MSFT) founder Bill Gates, with $77.3 billion, and Zara fashionista Amancio Ortega, with $66.1 billion. Yahoo Finance will start streaming the Berkshire Hathaway event at 10 a.m. ET on April 30, a half hour before the actual meeting, which begins at 10:30 a.m.